RenoPro is your trusted choice for commercial and residential framing. With a wealth of experience, RenoPro is your trusted choice for commercial and residential framing, construction and retrofit. Headed by Sam Jaffer, our bonded and licensed team has the expertise to get the job done properly for you. From framing, finished carpentry to decks and retail fitouts, we tackle them all with ease, efficiency and at an affordable price. Our promise to you is to deliver nothing less than superior service, quality and workmanship, and these traits are all reflected in our long roster of clients. RenoPro is a well rounded business that goes beyond just basic construction and commercial and residential framing. The company was conceived with our clients’ needs in mind, and our rich experience enables us to offer expert advice when it comes to new builds, framing, and commercial and residential renovations big or small. What sets us apart from other general contractors in Toronto is that we at RenoPro Contracting go beyond just the basis of your framing project, but extend to a more personal level by offering finished carpentry to suite all lifestyles. RenoPro’s residential framing team construct the supporting structure or frame of single or multi-family buildings enclose the building and install the doors and windows to the lock up stage. The steel and/or wooden structure from the sill plate of the foundation to the roof rafters/trusses is catered to by our qualified carpenters. The structure includes interior and exterior walls and sheathing, interior and exterior stairs, openings for windows and doors complete with structural support headers fitted in bearing walls. Our dedicated and professional team stays updated on current trends and modern updates hence are able to offer you trend-setting and innovative designs and a finished product that is truly impeccable. 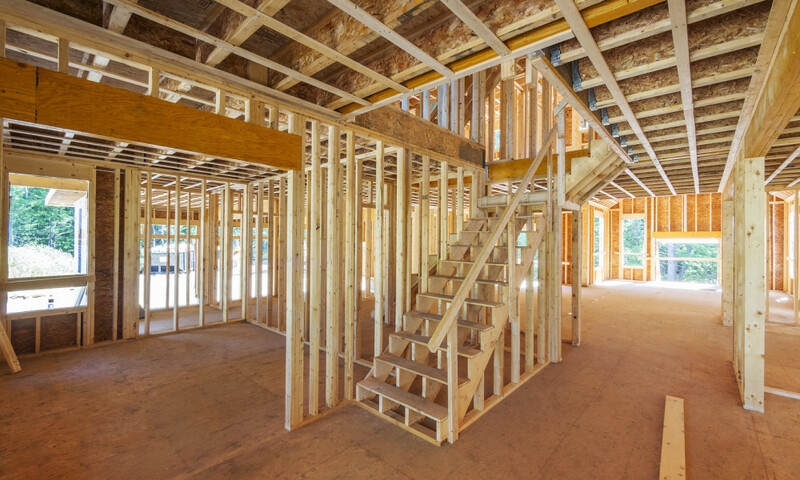 RenoPro provides a wide range of framing services, but our expertise lies in new home construction, renovations and additions. If you’re looking for quality framing, guaranteed workmanship and competitive pricing, give RenoPro a call and allow us to exceed your expectations.